You are here: Home / Puppy Search / Dog Breed Selector: What Dog Should I Get? 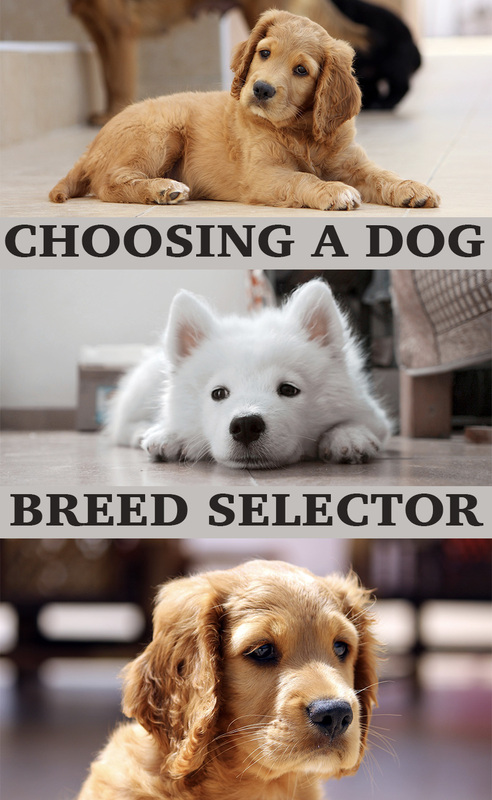 Dog Breed Selector: What Dog Should I Get? Choosing which dog breed to bring into your life is never simple. The answer to the question ‘which is the best dog breed’ will differ depending upon who you ask and who you are. Once you are certain that now is the right time for you to get a dog, the next question you will ask yourself will be what dog should I get? In this article we are going to help you address all the aspects you need to consider when comparing breeds. From intelligence to noise, coat type to size, and much more. Giving you the information you need to become your very own efficient dog breed selector! We all have our own idea of what makes the perfect pet. Hopes and dreams that we have for our lives with our new friend. The activities we want to do and ways we envision spending time together. [wp_ad_camp_5]When it comes to picking the perfect new puppy for your family, it pays to look at all the ways in which dog breeds differ. The best dog breed for you will depend upon a lot of different factors, including your home, lifestyle and family. You will want to take into account the attributes of the breed to see which will best fit with you. The breed’s general intelligence, temperament, noise, grooming, shedding, energy levels, training requirements, health and size all need to be factored into your decision. So it’s important to get to grips with the ways in which dog breeds differ, and how to understand the ways in which these differences will impact you as their owner. Different breeds of dog were originally developed to fulfil different roles. Companionship, hunting, racing and even fighting brought about some of the breeds of dog we see today. Those breeds of dog who were selectively bred to work co-operatively with human beings are generally considered more intelligent by those who work with them. Gundog breeds such as Labrador Retrievers and Cocker Spaniels, and pastoral dogs such as German Shepherds and Collies needed to have a fairly sophisticated level of interaction with their handlers. This means that they can be easier to train, but also that their requirements for interaction and stimulation can be quite high too. Intelligent dogs are fabulous companions for those who are prepared to put the hours in to training them, and who are able to provide the levels of companionship that they need. You may not have thought about it yet, but many people find once they own a dog that they want to ‘do’ something with their pet. They want to get involved in some kind of sport or activity. [wp_ad_camp_2]It might be worth thinking now about some of the activities you might one day enjoy with your pet. Whether that be simply long hikes or perhaps getting involved in agility, flyball, working trials, or gundog work. Because some breeds are better suited to one type of activity than they are to another. 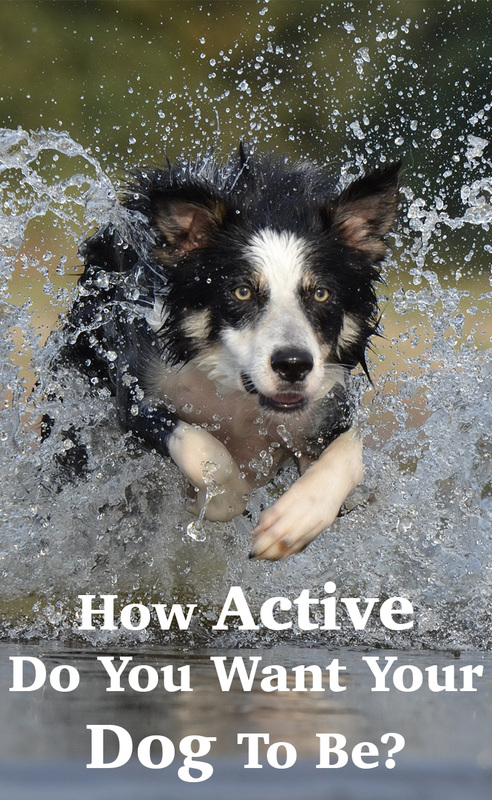 If you like the idea of agility, then it goes without saying you need an agile dog! Agility involves balancing, weaving in and out of coloured poles, racing through tunnels, and jumping. All done as fast as possible! Collies, terriers, poodles, and some of the smaller working type gundogs make great agility dogs. If you like long walks or going for a run, you need a dog that is able to reach and maintain a good level of fitness. All of the gundog breeds, and most of the hounds, pastoral dogs and terriers fall into this category. And if your hobby is shooting, and you are looking for a shooting companion, you will need a dog from the gundog group, and better still one that has been bred with fieldwork in mind. You need to chose a breed of dog that fits with your lifestyle. If you like to spend your spare time relaxing at home with a book, or pottering in the garden, then you will need to get a dog who is able to switch off in the house. Sighthounds are great sprinters and can expend a lot of energy when out for their morning walk, but settle down in the house. If you are always on the go then you probably want a dog who can keep up, like an English Cocker Spaniel. If you want a dog to keep you company and to crave your companionship as much as you want his, then gundog breeds tend to be quite clingy and keen to stick by your side. If you have children still at home then this will need to be factored into your decision. The best family dogs are those which have a friendly temperament and a biddable nature. Dogs like Labradors and Golden Retrievers are top choices for family dogs due to their nice natures, but you will also need to factor in their training requirements and how you will manage those boisterous teenage years. Smaller breeds are less likely to knock your children over or accidentally hurt them by bumping into them. Dogs such as Terriers, Whippets or Cocker Spaniels are a good size for homes with smaller children or vulnerable adults. Dog breeds known for their guarding behaviour are best avoided when you have a young family or regularly visiting children. Looking for the best dog for kids is will depend upon your family set up. Remember that although you may want your dog to be a companion for your children, the chances are that once the novelty has worn off it will be you doing all of the work. Coping with preventing the kids from winding up the puppy, interfering with your training, and keeping them separated during unsupervised times are of vital importance when welcoming your new dog home. You can find out more about introducing your children to your new puppy here. Don’t forget, some breeds of dog are much more likely to be noisy than others. This is especially the case if the dog is allowed ‘visual access’ to passers-by, or is left alone for long periods of time. Noisy dogs are a common cause of neighbour disputes and can cause you, the owner, a lot of stress. Unless you live miles from anywhere, this is worth considering. Different breeds also tend to make different types of noise. Smaller dogs like terriers can be generally more likely to yap with excitement, gundogs can be known to whine when frustrated and guarding breeds will often emit louder deeper barks. There are many things you can do to reduce noise, but selecting a noisy breed puts you at a disadvantage. Some Hound breeds can be very vocal in particular and are best avoided if you are worried about the volume of noise a pup could make. Grooming dogs is not everyone’s cup of tea, and some dog breeds need a lot more grooming than others. If the thought of combing a Spaniel or detangling a Golden Retriever leaves you cold, then consider a short coated dog. Jack Russell Terriers or German Shorthaired Pointers for example have neat compact coats, which normally only require a quick brush down once a week. In general, longer and curlier coats need more attention, and sometimes specialist knowledge and equipment. You can find out more about grooming your puppy in this article. We should also mention smell here. Because some breeds of dog have coats which smell stronger than others. Some gun dogs for instance. It is not an unpleasant smell to those of us that like them, but most do have a definite ‘doggy’ aroma that not everyone else appreciates. Some dog breeds tend to have less of an aroma than others. If you are unsure about your desired breed, then make the effort to visit some and see what you think. But remember that you will get used to it and not notice when they live in your home. If you suffer from allergies but are desperate to own a dog, then you don’t have to spend the rest of your life chugging anti histamines. 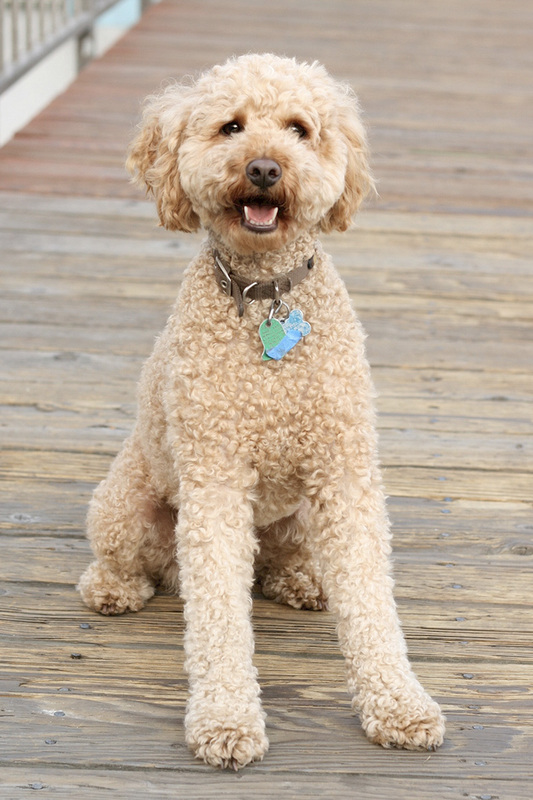 You can choose a breed which has hypoallergenic fur, such as any of the Poodle breeds. Yorkshire Terriers, Miniature Schnauzers, West Highland White Terriers, Border Terriers and Italian Greyhounds are other nice breeds of dog who have low allergy coats. There is no guarantee that you will not react at all to a dog’s coat, but these breeds are far more likely not to cause your allergies to play up. Please remember however that crosses of these breeds will not necessarily be hypoallergenic. As they will be carrying genetics from two different parents, their coats could be hypoallergenic but this is by no means a certainty. If your preference is for health reasons, then just stick to a purebred dog from a breed with a hypoallergenic coat. These will normally be non shedding breeds. If you are quite house proud and don’t want to spend the next ten years constantly vacuuming, you might want to consider a non-shedding breed. It is a bit of a misnomer, as these dogs do shed a little, but the hairs are mostly caught up in their coats rather than dropped on the floor. Ensure before you buy your puppy that they are actually non or low shedding. Appearances can be deceptive. For example, Labrador Retrievers look like they have short coats and would therefore be easy to groom occasionally. But they can shed quite incredible amounts of hair during moulting season and beyond. Some dogs are definitely more energetic than others. A lot more energetic. Very lively dogs can sometimes be more challenging for new dog owners to train, simply because they do everything at such a breakneck pace. Getting more easily distracted and taking more time to calm down. Labradors have a great reputation for being calm, however most of them don’t reach this point until 3 or 4 years of age. They are very bouncy and enthusiastic puppies, who delight in meeting new people and are prone to getting carried away. However some are calmer than others, and less likely to get over excited. One man dogs such as Collies and German Shepherds are more likely to be focussed on you, and therefore calmer in the face of visitors and other people on walks. Sight hounds such as Greyhounds and Whippets are sprinters, and once they have had some space to burn off their energy in the morning walk they can be very calm at home. The fact is that most healthy dogs are not naturally particularly calm, and often only display low energy if they have an underlying health condition. Bulldogs for example are less likely than Spaniels to wear a groove around the edge of your garden doing a hundred high speed circuits before breakfast. But then you probably don’t want to purchase a dog that comes pre-packaged with health problems and that may leave them in constant discomfort. The health of the breed of dog you choose is very important. You want your puppy to live a long and happy life, and some dogs lives are destined for nicer lives than others. In many ways this is the most important part of your choice. Choosing a breed who is healthy is the best thing you can do for your puppy. Many pedigree dog breeds have genetic diseases which are prevalent among them, due to their limited gene pools. 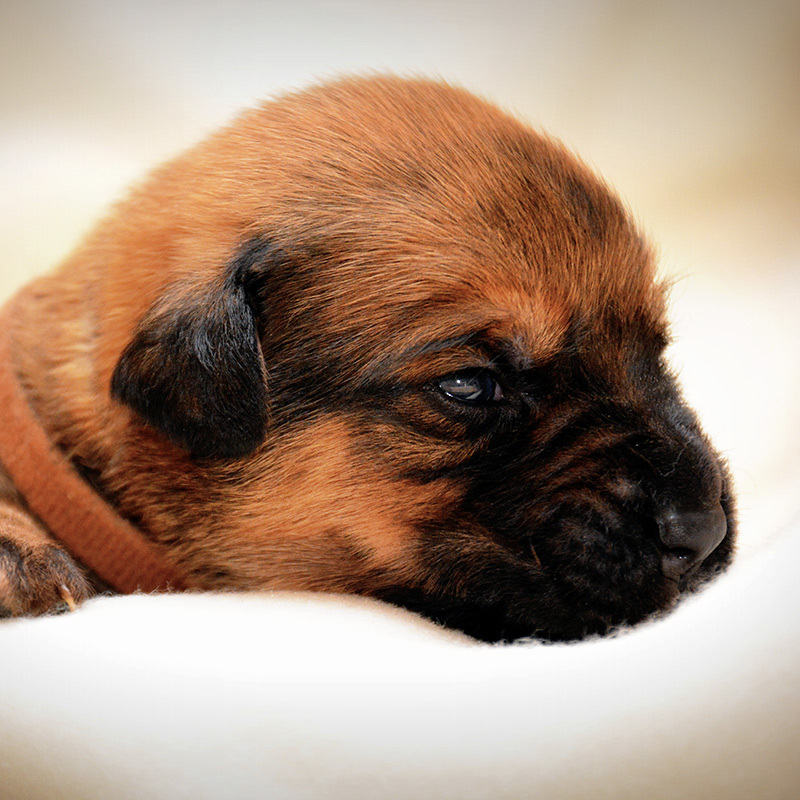 Before bringing home a new puppy you will need to ensure that their parents have had all of the tests relevant to their breed. Sadly it is not just genetic disease that needs to be taken into account when making your choice, but the structure of your chosen breed. Dogs are descended from wolves, and the healthiest breeds have this basic structure still in place. Dogs like Border Collies, Greyhounds, Whippets, Border Terriers, Hungarian Vizsla, German Shorthaired Pointers all have proportionate bodies and long noses. Brachycephalic breeds with flat faces might look very humanly appealing, but their shortened muzzles leave them lost for air. You have seen videos of Pugs or French Bulldogs for example falling asleep sitting upright. This heartbreaking behaviour is nothing to do with laziness or silliness, they are only doing so because it’s the only way they can sleep without losing their supply of oxygen. They also suffer from overheating as well as some distressing problems with their eyes. Some breeds with reduced skull sizes can have terrifying neurological problems like those commonly seen in the Cavalier King Charles Spaniel, or dental problems such as those seen in Chihuahuas. When choosing a breed with floppy ears such as an English Springer Spaniel, Labrador or Golden Retriever, remember that these many cause them to suffer from ear infections. Extremes should always be something to look into with caution. For example the adorable long bodied Dachshund has a big issue with spinal problems, and the Great Dane is so large that his life expectancy is woefully short. What Size Dog Is Right For You? One of the advantages of choosing a pedigree dog is that you will have a pretty good idea of how how large that dog will grow as an adult. Giant dogs have shortened lifespans, and even large breeds will have lower life expectancies than most small to medium dogs. However this link is not true in all cases, such as where some smaller breeds have other life limiting structural problems. But just how big or small should your dog be to fit into your lifestyle? Certainly some large breeds are too big for smaller houses or apartments, but it is worth taking into consideration that bigger dogs don’t always take up more room than smaller ones. A very lively and energetic English Cocker Spaniel for example, may effectively occupy just as much space in your house as a larger Labrador Retriever or German Shepherd dog. Simply because he zooms around so much! 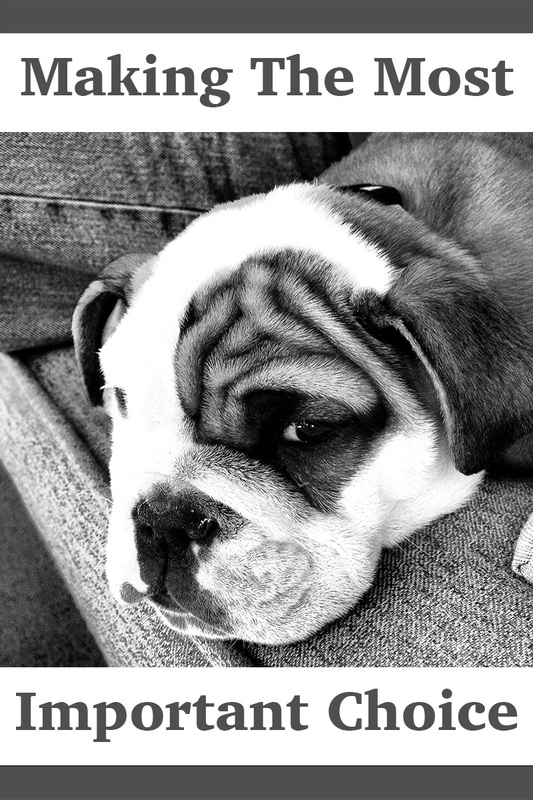 Smaller breeds of dog tend to live longer than larger breeds of dog, unless they have other structural problems that limits their life expectancy as is the case with the Bulldog for example. Long lived small to medium dogs include Border Collies, Fox Terriers, Miniature Poodles, Tibetan Spaniels, Toy Poodles and West Highland White Terriers. Giant breeds are sadly very short lived. With dogs such as the Dogue de Bordeaux, Great Dane and Saint Bernard reaching on average less than 7 years. You can take a look at the life expectancy of different dog breeds in detail in this article. Some breeds of dog are enduringly popular, others come in and out of fashion like clothes. Often popularity is triggered by nothing more complicated than a celebrity being seen with that breed of dog. When a breed is enduringly popular over many decades this is often a good sign. Here are the top 10 most popular breeds in the UK at the moment. One such breed is the Labrador Retriever, which has remained one of the most popular companion dogs in Europe and North America for many years. The reasons are clear. Good temperament, reasonable health and longevity, intelligence and trainability. It is often the dog of choice for the armed forces, the police force, customs and excise, the guides dogs for the blind and many, many other therapy dog organisations. Whilst you may yearn to be different, a dog is a huge commitment and carries great potential for thoroughly disrupting your life. It is worth paying attention to any outstanding testimonials to or evidence of, a breed’s success and popularity. Here is some extensive information on the more popular dog breeds that you might be considering. Make sure you focus on the health section for each of these to avoid taking on any problems that you are not emotionally or financially prepared to deal with. What Dog Breed Should I Choose? There is no definitive answer to which breed of dog is the best, or the right choice for every single family. [wp_ad_camp_1]What is important is to do your research, assess your own family’s needs and make an informed decision on that basis. Find a dog who is an appropriate size, with exercise and stimulation needs you think that you can live up to and a healthy genetic makeup. You will then be setting yourself up to get off on the right foot as you begin your puppy journey. I have a husky puppy and a German Shepherd puppy and a poodle. My husky’s name is Sasha. My German shepherd’s name is Ellie. My poodle’s name is Molly. I have a husky puppy and a German Shepherd puppy and a poodle my poodle doesn’t shed. I shave my husky because she sheds a lot. My German Shepherd doesn’t really shed that much and if she did I wouldn’t because she hates it and wants everyone to see her pretty fur. My husky doesn’t really like to be shaved but she sheds a lot and doesn’t care what other people or dogs care about her fur I only shave my husky once a year. So her fur can have time to grow but some years I don’t shave my husky.My German Shepherd doesn’t shed that’s much and my poodle doesn’t shed at all. Knowing what size dog is right for you is good to know. That way, you can choose the right dog. It probably wouldn’t be the best idea to get a large dog in a small apartment. Or, you may not prefer smaller dogs because you want a larger one to play with. Knowing the size first can narrow down your options and make it easier to choose a dog! My husband and I are wanting to get my daughter a dog for her birthday. However, she has allergies, so I really appreciate this guide on how to pick the best breed for us. I like how you point out that poodles don’t shed, and also come in all different sizes. I imagine that she would like a poodle as well because they are a very attractive dog. Thanks for sharing this information!